In October 1975, The Voice of Israel, Israel’s national radio broadcasting service, aired its first and historic segment on the community, in which gays and lesbians were interviewed for the first time, and told reporter Shimon Schiffer about their struggles and needs. On July 29, 1975 a group of activists decided to establish a gay and lesbian organization in Israel. On September 21, 1975 the group submitted to the Ministry of Interior a request to register an organization under the name “The Individual Rights Association”. The letter was signed by Ya’akov Pezzi as chairman of the founding committee. In a response sent to the chairman of the founding committee on October 6, the Ministry of Interior approved the organization. A week later, on October 14, the approval for the establishment of The Aguda was published in the Israeli Observer newspaper. 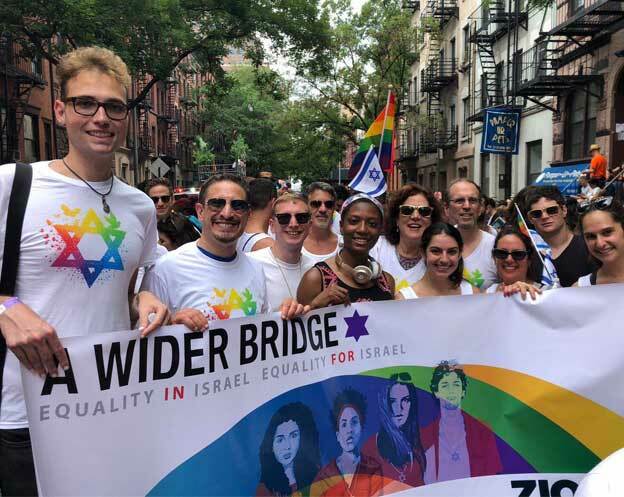 Following the article, the Voice of Israel, Israel’s national radio broadcasting service, aired its first and historic segment on the community, in which gays and lesbians were interviewed for the first time, and told reporter Shimon Schiffer about their struggles and needs. “Ostensibly its an organization like any other organization,” said reporter Shimon Schiffer. “The Aguda members registered legally at the Ministry of Interior under the name Individual Rights Association. The goals were defined- to work for the association members and others, in order to achieve rights for the individual. A spokesman was chosen, they have a newspaper called Hadashot Gay. “Gay” is the American nickname for homosexuals, and there are activities offered – including a group trip to Wadi Kelt. A hosting event for homosexuals from around the world will be held at a general meeting, and there will be a registration fee. We said ‘ostensibly’ an organization like any other, because under the current law in Israel, having homosexual relations is prohibited by law. “Fifty members have already registered in the organization, and hundreds more approached following the announcement published in the paper,” the reporter said. Interviewees in the segment expressed the difficulties they faced, ranging from harassment by “punks” to harassment by law enforcement, in which they come in contact mainly in public parks. They also talked about issues that bother them, such as love, marriage, having children and growing old.